Yellow Ribbon Prison Run 2017 | JustRunLah! I missed the run registration. Whether I still can register now for 2 slots. 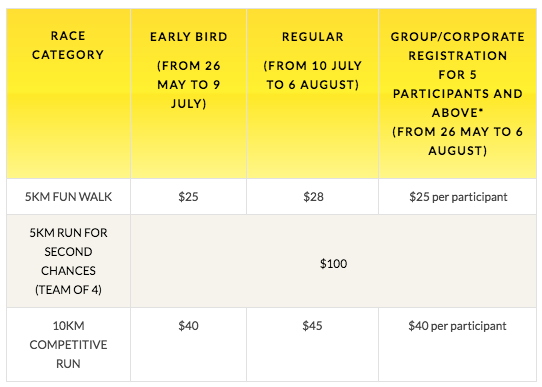 Hi ,I registered for 5Km …I don’t know if it is for walk or run? ?